Wednesday, August 15. Kansas City, Mo. Dale Wilch's Man Cave Indoor Swap Meet. 1501 West 31st Street, 64108. 6:00 p.m.-9:00 p.m. For more information, call Dale at (913) 788-3219, e-mail dale@rpmcat.com, or visit http://www.dalewilch.com/. You can also click on the ad to the right of this article for thie week's auction items. Wednesday, August 15. Independence, Mo. 40 Hwy Big Boy Cruise Night. 12401 E 40 Hwy (40 Hwy and Crysler Ave), 64055. For more information, call Mike at (816) 519-6424. Wednesday, August 15. Independence, Mo. Camaro Club of Kansas City Cruise Night. IHOP, 20100 East Valley View Parkway (off of Little Blue Parkway and I-70), 64057. 6:00 p.m.-9:00 p.m. For more information, visit http://www.camaroclubkc.com/activities_fr.htm. Wednesday, August 15. Olathe, Kan. Red Robin's Rodders Round-Up. 20155 West 153rd (near I-35 and Paola exit), 66062. 5:00 p.m.-9:00 p.m. For more information, call Bill at (913) 390-1400. Thursday, August 16. Independence, Mo. McDonald's Cruise Night. 16235 E 24 Hwy (E of M-291 Hwy on US 24 Hwy), 64056. For more information, call Jim at (816) 985-4317. Friday August 17. Lenexa, Kan. Car Club Night. Longbranch Steakhouse, 8600 Marshall Drive, 66214. 5:00 p.m. For more information, call (913) 894-5334. Friday August 17. Overland Park, Kan. Longbranch Alehouse TGIF Cruise. Longbranch Alehouse, 9095 Metcalf, 66212. 5:00 p.m.-9:00 p.m. For more information, call Chris at (913) 642-9555. Friday, August 17-Sunday, August 19. Springfield, Mo. 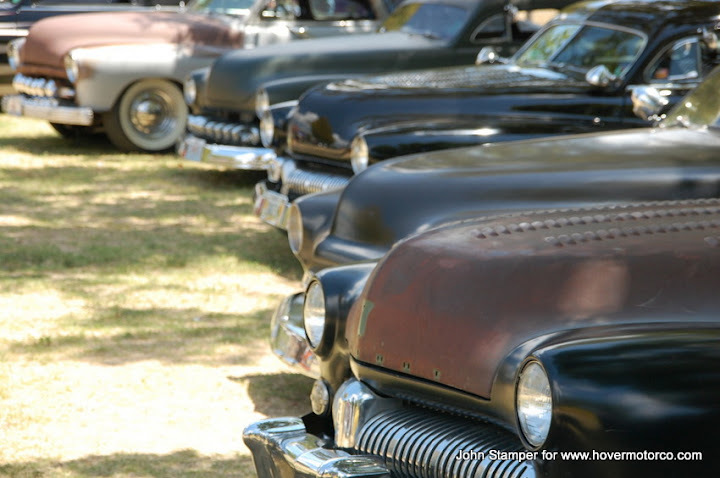 45th-Annual Ozark Antique Auto Club Swap Meet and Car Corral. Ozark Empire Fairgrounds, 3001 N Grant Ave, 65803. For more information, call Jeff at (417) 725-0201, Ron at (417) 581-1449, or Lois at (567) 674-8729. Saturday, August 18. North Kansas City/Riverside, Mo. to Excelsior Springs, Mo. RUFF RIDE Dice Run. Meet at NAWS Spay and Neuter Clinic (3400 NW Vivion Road, 64150). All will cruise to Wabash BBQ to benefit NAWS. 4:00 p.m. start time. For more information, call Susan at (816) 221-5575, call NAWS at (816) 336-1888, or visit http://www.ruffride.info/. Saturday, August 18. Olathe, Kan. KC Corvette Association Vettes on the Plains Car Show. Great Mall of the Great Plains. 20700 West 151st Street, 66061. 8:00 a.m.-2:00 p.m. For more information, visit http://kccorvetteassociation.com/. Saturday, August 18. Blue Springs, Mo. 8th Annual First Baptist Church of Blue Springs Car Show. 1405 W Main St (15th and Main), 64015. Registration 9-11:00 a.m. Awards 2:00 p.m. For more information, call Keith at (816) 697-5442, or e-mail rktjok@hotmail.com. Saturday, August 18. Bates City, Mo. Bates City Café Cruise. 204 E Old 40 Hwy (I-70 exit 31), 64011. 11:00 a.m. For more information, call (816) 625-0170. Saturday, August 18. Wathena, Kan. GSL Truck and Car Show. 2232 Highway 36, 66090. Registration: 8:00 a.m. Show: 9:00 a.m.-6:00 p.m. For more information, call (785) 989-4533. Saturday, August 18. Lee's Summit, Mo. Johnny Ray's Drive-In Cruise, 800 SW Blue Parkway, 64063. 3:00 p.m.-10:00 p.m. For more information, call (816) 524-1910. Saturday, August 18. Olathe, Kan. Olathe Sonic Drive-In Cruise Night, 915 S. Parker, 66061-4262. For more information, call Glen at (913) 713-5013, or Don at (913) 948-9521. Saturday, August 18. Overland Park, Kan. HPAC Meet and Greet. Culver's, 8600 W 135th St (135th and Antioch). 66223. 6:00 p.m.-9:00 p.m. MOPAR and AMC vehicles only. For more information, visit www.hpacmopar.com, e-mail hpacmopar@hotmail.com, or call (785) 231-0719. Saturday, August 18. Platte City, Mo. Outta Control Hot Rods and Cruisers Monthly Cruiseathon. Pizza Shoppe and Mr. Goodcents parking lots, 2400 NW Prarie View Road, 64079. 5:30 p.m. For more information, call Larry at (816) 858-4070. Saturday, August 18. Sedalia, Mo. West Central Missouri Vintage Auto Club Cruise Night. Wheel Inn, 2103 S Limit Avenue(65 Hwy), 65301 4:00 p.m.-9:00 p.m.
Saturday, August 18. Shawnee, Kan. Bates City BBQ Cruise. 6493 Quivira (65th and Quivira), 66216. 5:00 p.m.-9:00 p.m. For more information, call Delbert at (913) 724-4025, or e-mail goldenoldiescarclub@sunflower.com. Saturday, August 18. Independence, Mo. Summer Cruise-In at the Hartman Heritage Center. Jackson Drive next to Buffalo Wild Wings. 6:00 p.m. For more information, call Jim at (816) 808-1154, or visit www.facebook.com/pages/The-Pavilion-at-Hartmans-Heritage-Center/109154032442467. Saturday, August 18. Raymore, Mo. Hot Rods and Hawgs Cruise-In. Thirsty Ernie's Sports Bar and Grill, 1276 West Foxwood Drive, 64083. 1:00 p.m.-5:00 p.m. For more information, call (816) 322-2779. Saturday, August 18. Cheney, Kan. 4th Annual Cheney Car Show. Downtown Cheney. For more information, call Hank at (316) 761-8587. Saturday, August 18. Mulvane, Kan. Mulvane Old Settler’s Car Show. St Michael’s Church, 525 E Main. For more information, call Chris or Sherri at (316) 777-9273, or Tammie at (316) 777-0679. Saturday, August 18. Potwin, Kan. Watermelon Festival and Car Show. For more information, call Tyler at (316) 323-4458. Sunday, August 19. Kearney, Mo. Krusin' Kearney. Downtown Kearney. For more information, call Chris at (816) 792-8230, or (816) 260-5305. Sunday, August 19. Sedalia, Mo. Applebee’s Cruise-In. 3320 W Broadway Blvd (US 50 Hwy), 65301. 3:00 p.m. For more information, call (660) 827-9910. Sunday, August 19. Kansas City, Mo. Art of the Machine Show featuring the Mercedes Benz Club of America. City Market Farmers Market, 20 Genessee St, 64102. For more information, call Deb at (816) 842-1271, or visit http://thecitymarket.org/events/art-of-the-machine-car-series. Sunday, August 19. Kansas City, Mo. 3rd Annual Cruise to the K Car Show/Royals Game. Kauffman Stadium, One Royal Way, 64129. For more information, call Kevin at (816) 504-4167, or visit http://kansascity.royals.mlb.com/kc/ticketing/group_offer.jsp?loc=carshow. Friday August 17. Grain Valley, Mo. Valley Sprints, Micro Sprints, Lightning Sprints and Modified Lites. Valley Speedway, 348 E Old 40 Hwy, 64029 . For more information, call (816) 229-2222, or visit http://valleyspeedway.com/default.aspx. Friday, August 17-Saturday, August 18. Kansas City, Kan. ASCS Warrior Region w/GOTRA. Lakeside Speedway, 5615 Wolcott Drive, 66109. For more information, call (913) 299-2040, or visit http://www.lakesidespeedway.net/. Saturday, August 18. Kansas City, Kan. J and B Promotions Mud Run. Wyandotte County Fairgrounds. 13600 Polfer Road, 66109. 4:00 p.m. For more information, call Jeff at (816) 752-7707, Bob at (816) 261-5853, or visit www.jandbpromotions.com. Saturday, August 18. Lebanon, Mo. Weekly Asphalt Racing. Lebanon I-44 Speedway. 24069 Route 66, 65536. For more information, call (417) 532-2060, or visit http://i44speedway.net/. Saturday, August 18. Mayetta, Kan. Weekly Dirt Track Racing. Thunderhill Speedway. 11995 142nd Road, 66509. For more information, call (785) 966-2844, or visit http://www.racethunderhillspeedway.com/. Saturday, August 18. Winston, Mo. Weekly Racing. I-35 Speedway. Interstate 35 and Highway 6, 64689. For more information, call (660) 749-5317, or visit http://www.i-35speedway.net/. Saturday, August 18. Grain Valley, Mo. A Modifieds, B Modifieds, Street Stocks and Dirt Demons. Valley Speedway, 348 E Old 40 Hwy, 64029 . For more information, call (816) 229-2222, or visit http://valleyspeedway.com/default.aspx. Saturday, August 18. Topeka, Kan. BriggsAuto.com Super Saturday Dirt Showdown Series. Heartland Park, 7530 SW Topeka Blvd, 66619. For more information, call (785) 862-2016, or visit http://www.hpt.com/. Saturday, August 18. Wheatland, Mo. Buffalo Dental Fan Appreciation Night. Lucas Oil Speedway, 700 E Hwy 54, 65779. For more information, call (417) 282-5984, or visit http://www.lucasoilspeedway.com/. Marcos Ambrose won what was easily the wildest race of the year last week at Watkins Glen. The Nationwide Series will continue the road course antics in Montreal. The Cup guys return to oval track racing as they head to the Irish Hills of Michigan, this also the week of the Woodward Dream Cruise. The TV schedule for all three series is below. For more information, visit www.nascar.com. Saturday, August 18. Ypsilanti, Mich. NASCAR Camping World Truck Series VFW 200. Michigan International Speedway. 1:00 p.m. (c/t). SPEED. Saturday, August 18. Montreal, Canada. 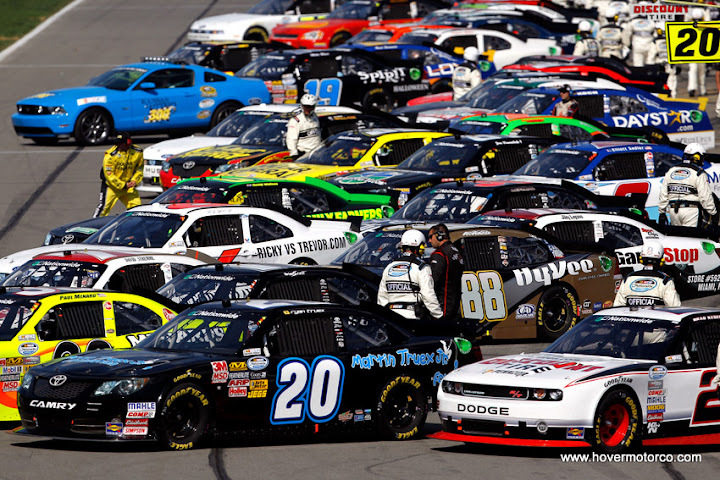 NASCAR Nationwide Series NAPA Auto Parts 200. Circuit Gilles Villeneuve. 1:00 p.m. (c/t). ESPN. Sunday, August 19. Ypsilanti, Mich. NASCAR Sprint Cup Series Pure Michigan 400. Michigan International Speedway. 11:00 a.m. (c/t). ESPN. Hi my name is Carol Lewis, and I am a proudly owner of an Acura NSX, however, I want to ship my car and looking in the web I found this two sites: www.ehaulers.com and www.shipmyride.com, both of them Canadian pages. Have you tried them?